Super Mario Bros. 2 (also known as Super Mario USA) is a side-scrolling platform game, released in 1988 (in the USA) and 1989 (in Europe). It is the second game in the legendary Super Mario franchise. While it was originally produced and developed exclusively for the NES (Nintendo Entertainment System), it was, later, re-released for other systems as well. It must be noted that there are major differences between the Japanese version of Super Mario Bros. 2 (also known as Super Mario Bros. :The Lost Levels) and the one we are talking about here (the American/European version). The Japanese version is, basically, the same game as its predecessor. It has the same graphics, same story, same characters, same gameplay, same power-ups………..almost everything is completely the same, except of one “small” detail – the game is brutally difficult! It is much tougher than the original Super Mario Bros. game. People in Nintendo figured out that the game would be too difficult for American and European gamers, so, instead of launching that game in those 2 regions, they used a different approach. They came to an idea to re-release the older Famicom title called: “Yume Kojo: Doki Doki Panic” and use the characters from Mario’s universe (not all of them, though) instead of the original ones. And that is exactly what happened in the end – Super Mario Bros 2. , that we are playing in the USA and Europe is, basically, a remake of Yume Kojo: Doki Doki Panic. As a result, this game is much different than almost every other platform game in the Mario franchise, and the player gets to experience that from the very beginning. That is also one of the reasons why it is one of the most disliked games in the whole franchise as, even though it is a Mario game, many standards that were set by its predecessor, and that were used by the later games - were not seen in this title. The plot is also different. Instead of fighting Bowser and his army of Koopas, this time Mario, Luigi, Peach and Toad are placed in a similar, yet different, setting called Subcon (also known as “the land of dreams”), that was once a lovely place for living and a real wonderland, just like the Mushroom Kingdom, but it is now ruled by the giant frog king called Wart, and peace is no longer residing in this area. It is the task of Mario and his friends to defeat Wart and restore Subcon to its normal and natural state of living. To make things even more distinct and different, all the happenings in this game are only a dream of everyone’s favorite plumber. 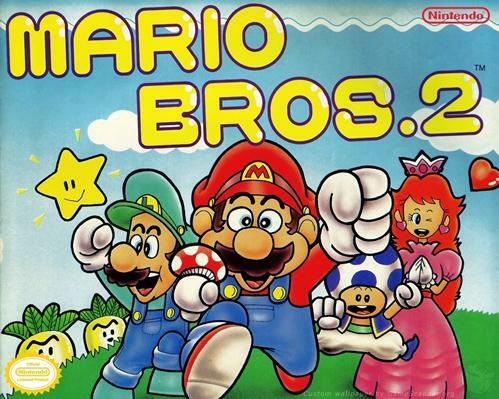 Still, even despite various negative comments, Super Mario Bros. 2 is an important part of the franchise, and some elements that were introduced in this game, found their respective places in the future Mario games as well. As it was mentioned earlier, the gameplay of this game is much different than the gameplay of the other platform games in the franchise. Still, some basic points are identical. The objective is still the same, and that is – make it from point A to point B or, in other words, make it to the end of the level. The player can move left and right, jump and run, just like in the first game, but, instead of shooting fireballs acquired from the Fire Flower power-up, this time the player can grab various items (like the most common ones in the game – vegetables) and throw them at the enemies on screen, in order to beat them. So, the basic premise is still identical to the other platform games in the Mario franchise. But now comes the part where we are going to introduce major different aspects of this game. First of all, instead of 8 worlds, where each of them is packed with 4 levels, this game has 7 worlds and each of them has 3 levels (the last world has 2 levels, though). Another major difference is that, at the end of each level, the player needs to beat a mini-boss in order to proceed. And that is, in all cases, a new character called Birdo. She can be beaten either by throwing back the eggs at her (the ones that she fires back and forth, in order to kill Mario and his friends), or by throwing other items at her (mushroom blocks). In order to pick-up the eggs (or other items), the player must jump/stand on them and press the “B” button. Birdo takes 3 hits to be defeated. Mario lifting a Mushroom block. After that, the player picks-up the crystal ball, that was guarded by Birdo, and, after that, the door that leads to the end of the level is opened (the Hawkmouth gate). At the end of the 3rd level of each world (or the 2nd level in the last world), the player must defeat the boss in order to pass through. Each of them takes different tactics and strategies in order to be defeated, but all of them involve throwing various items at them to damage them. Also, at the end of the level, there is a bonus section in the form of a lottery machine, which enables the player to gain extra lives (with the right combination of slots). Contrary to the first game (and the other platform games in the franchise), in this one Mario and his friends don’t beat the enemies by jumping on them, or by throwing fireballs at them. Instead, the player must jump on them, pick them up and throw them towards other enemies. He/she can also pickup various items (that are placed on or under the ground) and throw them towards the enemies to beat them (in the same way that was previously described). Also, it usually takes two hits to kill Mario and his friends, but after they pick-up the mushroom (it is picked up in the same way as other items), the number of allowed hits rises to 3. The mushroom also restores the health points to the maximum amount. Mario and his friends can die either by being killed by their enemies, or by falling down into the water/pit, similarly to the first game. The only main difference here is that there is no time limit to finish the level. Also, in this game there are no elevator-pipes, but instead of that, there are certain “vases” that can serve for this purpose. Hidden areas in the game are replaced by the, so called, Subspace world. It is an alternative and dark version of Subcon. Over here, the player can find various items that will help him to beat the game (from coins to mushrooms and even a Starman power-up). It is accessed when the player finds the magic potion item (which is found after being plucked). Certain doors in the game are locked and they require the key in order to access them. Once the player finds the key, an enemy that looks like a two-colored mask (Phanto) will immediately start chasing him. However, if he/she drops the key, Phanto will retreat and leave the screen. And finally, another major change in the game is that there are 4 playable characters (Mario, Luigi, Princess Peach and Toad), and all 4 of them have different abilities and qualities (they will be described, in detail, in the “Characters” section). The player can select one of these 4 characters at the beginning of each and every level. Whether the game will be played with only one character or with more of them, it is up to the player to decide. Down –Used for ducking, entering the vases and climbing down the vines. If you duck a bit longer, you will activate the Power Squat Jump, which enables you to jump higher than usual. Up – Used for climbing the vines, entering the doors and various other openings. B – Pickup/throw items. It is also used for stopping the slots in the bonus levels. Start – Pause the game. Select – Confirm the choices after a Game Over screen. An artwork of the main characters Mario, Luigi, Princess Toadstool and Toad from Nintendo Power Magazine. Mario – A hero of Mushroom Kingdom and the most popular plumber in the world (both the virtual and the real one) returns for yet another adventure. This time, though, he has the task to save the land of dreams called Subcon from the evil Wart. In this game, Mario has average powers and abilities, and that, on one side, makes him an ideal playable character, as he is suitable for, practically, every possible obstacle and situation in the game. But, on the other hand, there are parts that require characters with dominant abilities, and, in that case, Mario is not the one you are looking for. 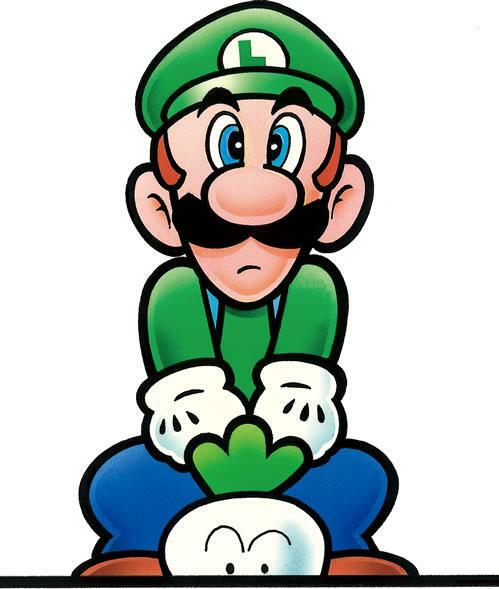 Luigi - Mario’s brother and side-kick gets much more personality in this game. Instead of just remaking the same sprites of Mario, as it was the case in the original game, Luigi is taller than Mario in this game, and he can also jump much higher. And this high jump, exactly, is his strongest attribute. But, Luigi is also very slow, both in the movement and in the pick-up/throw actions, so you may want to think again before choosing him in some of the game’s levels. Toad – As it was mentioned before, Toad gets much more personality in the games that succeeded the original Super Mario Bros., and, in this game already, he becomes another side-kick of our hero. He is completely the opposite character of Luigi in this title. He is the fastest playable character (both in the movement and in the pick-up/throw actions), but he has the lowest jump of all 4 characters, which makes getting across bigger gaps with Toad a real challenge. Princess Peach – This is one of the rare games where she is not that “damsel in distress” that is waiting to be rescued by Mario. Even though it must be appreciated that she is also an active participant in the quest of saving Subcon, it should be noted that she is the character with the weakest stats, overall. She is even slower than Luigi in picking up and throwing the objects, as well as in the movement, however, her strong point is that she can float for a while after jumping, which makes getting over the tricky gaps much easier. Subcon (species) – These tiny fairies, that look like flies, are inhabitants of the dreamland that carries the same name. 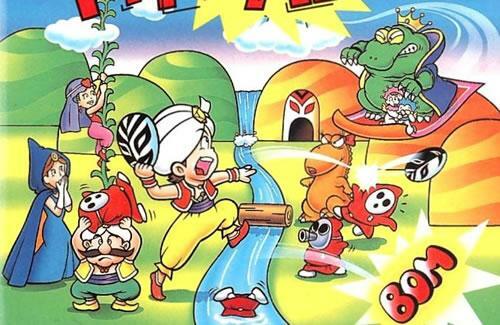 Their land was invaded by Wart and now they need help from Mario and his friends. They also have a small role of a “mentor” in the game, as they give clues about defeating Wart (by stating that he hates vegetables). Coins – These items, that were the basic collectable items in the original game, are found only in the Subspace world in this one. You can get them by plucking the vegetables. Their function is also different in this game, as they are only used in the bonus stages (in order to get extra lives). Turtle Shells – They can be found in grass. They have the same function like the Koopa Troopa/Koopa Paratroopa shells in the original game. When you throw them on the ground they will slide and kill all enemies on their way. They will also destroy any blocks they hit. Vegetables – The most common and the most dominant pick/throw items in the game. They are the basic weapons in the game. 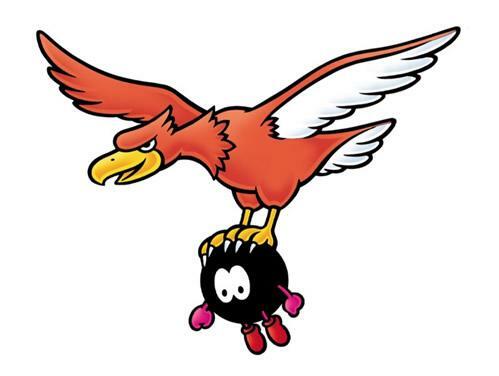 After being plucked, they can be thrown at enemies, in order to kill them. Once they kill a certain enemy, they bounce, allowing them to kill some additional enemies nearby, as well. In case you manage to beat a certain amount of enemies with a single vegetable, you will get an extra life. Sparks – They are either moving around platforms in the clock-wise or anti-clockwise direction, or they are hovering in the air. They hurt the player as soon as he touches them. They can be beated with some items (like the mushroom blocks). Whales – They actually serve as platforms, and that is their primary role. The player can also jump on their waterspouts. However, the waterspouts are dangerous when they are touched at the sides. Mouser – This giant mouse with black glasses is the first boss in the game. He is located on an isolated platform, he moves back and forth and he throws bombs at Mario and his allies, in order to kill them. The only way to beat him is to give him a taste of his own medicine and to throw back those bombs at him before they explode. Wart – The giant frog king is the main antagonist of this game and the final boss of the game as well. He has taken over Subcon and he is the last obstacle in this quest of Mario and his friends. He moves back and forth and he throws series of gigantic bubbles towards Mario and his teammates. However, as the Subcon species stated, he hates vegetables. A nearby machine is throwing out the vegetables from time to time, and that is your chance to grab them and throw them at Wart. He only takes damage from the vegetable, when his mouth is open, and when he actually ingests them. It takes 6 hits to finally defeat Wart and beat the whole game. Super Mario Bros.: The Lost Levels: The players are given the option to choose their character. Luigi can, also, jump higher than his brother. Super Mario 3D World: Toad and Princess Peach reappear in this game as playable characters. 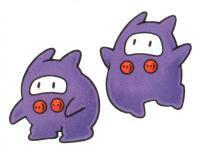 Their abilities and attributes are copied directly from Super Mario Bros. 2. A retro Super Mario Bros. 2 TV Commercial - welcome to Subcon. A full playthrough, played as Princess Peach. Check out our Super Mario Bros. 2 complete guide for more. The initial concept of this game was a Mario-style platform game, made by Nintendo’s developer Kensuke Tanabe. The game was originally meant to include vertically scrolling levels, as well as the new pick/throw interaction with the objects and the enemies. It was also meant to be a two player co-op game, but because of the technical limitations of the system, this approach was abandoned. Instead of that, more elements from the original game were intended to be added to this game (like the horizontally scrolling levels). At some point in the development, Fuji Television Company wanted this game to be created with the Yume Kojo characters in it, and, thus, the initial prototype has turned into, what we know today as “Yume Kojo: Doki Doki Panic”. That title quickly became one of the best selling games on the Famicom in Japan. In 1987, Nintendo of America was planning to launch the sequel to the original game in the USA. They originally intended to (re)launch the Japanese version of Super Mario Bros. 2 that was already released in Japan but, after a deep analysis, it was concluded that the game was too difficult for the American gamers. It was basically a clone of the original game but much, much harder. Even Shigeru Miyamoto admitted that the challenge of the game is bigger than it should have been. So, they decided to remake “Yume Kojo: Doki Doki Panic” that was already a successful title in Japan, and replace the Yume Kojo characters with the ones from the Mario universe. And that is how this game was brought to life, in the first place. 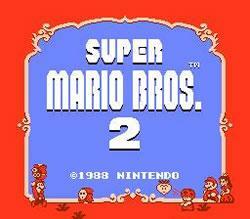 The Japanese version of Super Mario Bros. 2 became available outside Japan once the remake of the 3 NES games was released for the SNES (Super Mario All Stars). 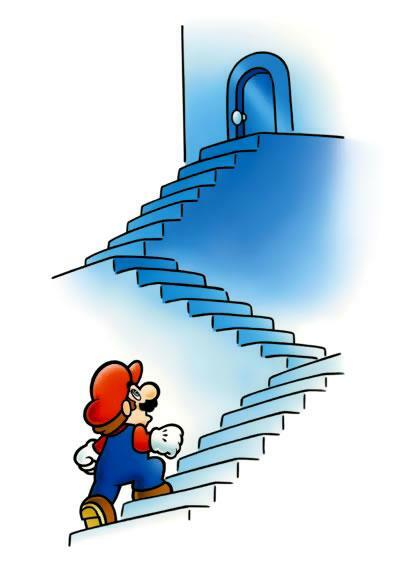 That game became known as: “Super Mario Bros.: The Lost Levels”. The American/European version of SMB 2 was also released in Japan, some time before Super Mario Bros. 3 was available on the market (it was released as Super Mario USA). Many elements, as well as the characters and some of their movements in this game reappeared in the games that were later released. 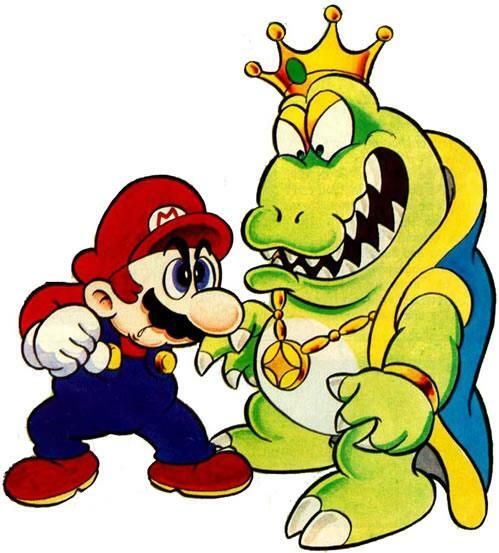 It is interesting to note that Wart, the final boss in this game, didn’t appear in any of the future Mario games (though he was briefly mentioned), but he managed to find his place in the Nintendo Comics System. He made reappearance in a Zelda game instead. He appeared again in The Legend of Zelda: Link’s Awakening, and, interestingly enough, he was not a villain in that game. 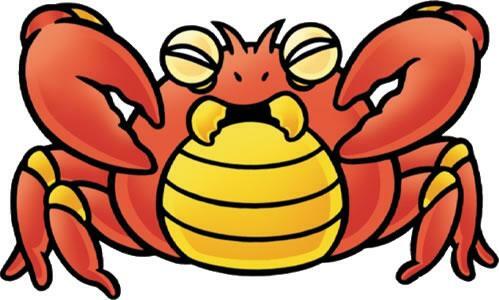 He appeared in that release under his original Japanese name – Mamu. Even despite mixed opinions about this game, it managed to sell ten million copies, which made it the 3rd best-selling game on the NES at that time. On the Nintendo Power’s list of best NES games, this game took the respectable 8th place. It was stated that, although it is not really a Mario game, the title is different enough, and is able to stand on its own merits. The game took the 108th position on the Electronic Gaming Monthly’s list of “Greatest Games of Their Time”. GamesRadar’s opinion was that it is the 10th best NES game ever made, and they gave a lot of compliments about the game’s concept. They also stated that this was a better sequel than the ones that were released around 2012, where only small changes and improvements were seen. IGN praised this game, calling it: “one of the best NES games ever created” and “one of the most polished and creative platformers of the era”. They also praised the game’s music, and, in their opinion, the final boss theme of this game is the best 8-bit final boss theme of all times. The game was rereleased in 2001 as Super Mario Advance. It got positive reviews from many gaming critics. Its aggregate score on Metacritic was 84 %. However, not all reviews were positive. GameSpot’s opinion was that Super Mario Bros. 3 and/or Super Mario World would have been better choices for the launch title on the system, considering how popular both of these games are, even nowadays (they were later remade as part of the Super Mario Advance series). In October 2014 a book was bought out by a gentleman called Jon Irwin about Super Mario Bros. 2 (the Doki Doki panic version, not the Japanese one!) which took a deeper look into the history of this game and how it stands in the Mario series, "pulling up a few vegetables" of his own and sharing a fresh and unique viewpoint on the Mario series' oddball. In perhaps the most famous switcheroo in all of game history, the Japanese version of Super Mario Bros. 2 was declared “too hard” by Nintendo of America and replaced with a Mario-ified port of the Famicom hit, Yume Kōjō: Doki Doki Panic. The new game (dubbed Super Mario USA in Japan) was a huge success for its four playable characters, improved graphics, immersive levels, and catchy music, and eventually became the 3rd bestselling game for the NES. And yet. Because of its strange new villains, its wild gameplay, and its mysterious touches, SMB2 has for years been regarded as the Odd Mario Out, even as it has seen popular updates on the Super NES and Game Boy Advance. Irwin’s Mario is not a simple retelling of a 25-year-old story, but instead an examination of the game with fresh eyes: both as a product of its time and as a welcome change from the larger Super Mario franchise. Along the way he searches for clues, pulling up a few vegetables of his own. What he finds is not at all what he expected. In case you move one screen away after defeating the enemies and then return – they will re-spawn again (the same happens with Birdo). 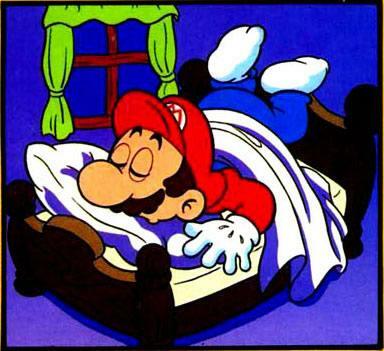 Mario in his bed, where the game truly took place!